Want even more dessert recipes? Then you should check out my THREE cookbooks! 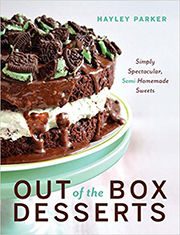 Out of the Box Desserts is a curated collection of unique, brand new recipes and some of my blog’s favorite recipes together in one incredible book. The book’s premise is simple: doctoring up ordinary boxed mixes and prepared ingredients to create extraordinary, one-of-a-kind desserts. The book contains over 100 (!!) recipes for your tasting pleasure. 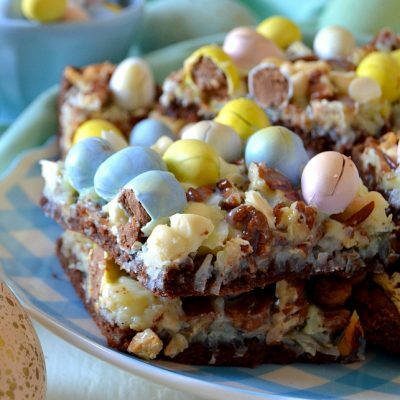 All the recipes are super easy, very accessible and perfect for first-time bakers, cooking with kids, or for those who have seriously sweet teeth. There are also some homemade recipes for more advanced bakers, like my Frosting-Filled Chocolate Chip Cookies, or my Sinful Brookie Cake. The cookbook also has a special sections for Kitchen Must-Haves, Tips & Tricks, and Handy Conversion Charts for doubling recipes or using different measurements. Every single recipe is accompanied by a full-color photo so you know exactly what you’re making, and lots of the recipes have unique notes to help you customize and specialize each recipe to make it your own, or teach you a little more about the recipe or particular ingredients. You can find Out of the Box Desserts at Barnes & Noble, on Amazon, on Indie Bound, and on QVC.com! 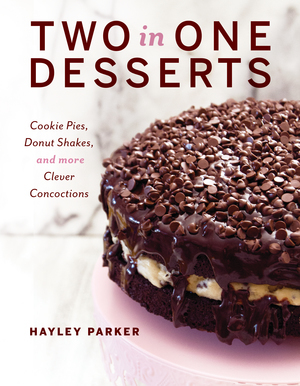 My second cookbook, Two in One Desserts, hit bookshelves on May 5, 2017! The premise behind Two in One Desserts is taking two desserts that each exist independently on their own and combine them both into a unique, one-of-a-kind dessert mashup! Just like in my first book, the 100+ recipes are easy, accessible, and perfect for both novice and experienced home bakers, and ALL the recipes have a full color photo. From Brownie-Filled Chocolate Chip Cookies to Marshmallow Charms Pudding Pie, there’s seriously something for everyone! You can find Two in One Desserts at Barnes & Noble, on Amazon, and at Indie Bound! My third book, Out of the Box Holiday Baking, hits bookshelves on October 23, 2018! Out of the Box Holiday Baking is just like its predecessor, Out of the Box Desserts, except filled to the brim with jolly holiday-inspired desserts! Just like the first book, Out of the Box Holiday Baking uses easy, accessible ingredients like cake mix and doctors it up to make unique, flavorful treats you would never guess came from a box! Just like the first two cookbooks, Out of the Box Holiday Baking has 75+ recipes, ALL with full-color photos to help you see the finished product in action. With scrumptious holiday flavors like peppermint, gingerbread, and eggnog, this book is brimming with merry desserts the whole family will love! Some of the recipes included are No-Bake Peppermint Cheesecake, Fruitcake Cupcakes, Shortcut Pecan Pie, and Whipped Shortbread Cookies, just to name a few! 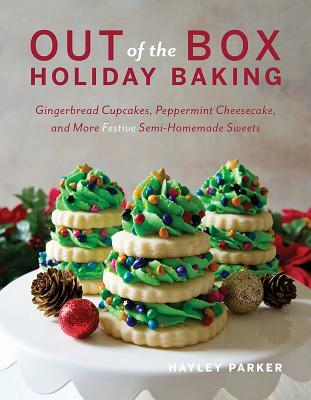 You can grab Out of the Box Holiday Baking at IndieBound and at Amazon!